After seeing Spanish midfielder Juan Mata fall out of favor at Stamford Bridge under Jose Mourinho, Tottenham manager Andre Villas-Boas has moved to dismiss speculation linking the player with a crosstown move to White Hart Lane. The former Valencia player has been linked with a move away from Chelsea since Jose Mourinho returned to the club, with Manchester United and Arsenal both heavily linked with him before the summer transfer window slammed shut. Now, the Spurs boss has refuted claims that he is considering signing his former Chelsea player. 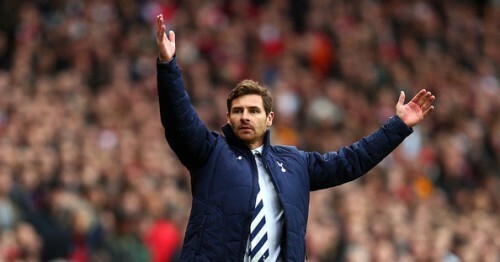 When asked by reporters if he’d move for him in January, Villas-Boas replied ”no, I don’t think so,” according to the Daily Star. While the Portuguese manager may not bring Mata to north London, he did move to praise Mata’s qualities, and insisted that his talents will earn him a place back in Jose Mourinho’s starting eleven. Villas-Boas knows Mata well from the pair’s time together at Stamford Bridge, when Mata was one of the manager’s key players. “It’s not my decision to pick or not pick Mata, it was before,” the former Chelsea manager stated, according to the Daily Star. ”He was always involved in my starting eleven, I have always enjoyed a great personal and professional relationship with Juan Mata but it’s not my decision anymore. Mata’s place in the side has diminished following the emergence of young Brazilian sensation Oscar. The midfielder has been teaming up well with the likes of Eden Hazard and Andre Schurrle this season, and along with new signing Willian, Mata will have to fight for a spot in the starting eleven.